Last week the Jersey Evening Post gave front page coverage to a letter from Senator Bailhache to the Archbishop of Canterbury asking him to press for the publication of the Steel Report. The Senator wrote as a Senator in the States of Jersey and as Lay Chair of the Jersey Deanery Synod. Those in the Jersey Church circle have been impressed ( there are others who are unimpressed) at how speedily the Senator has become the chair of the Deanery Synod and it would be interesting to know whether his letter was ever approved by the rank and file Synod members. The Senator attacked the Bishop of Winchester for failing to apologize for causing ‘unjustified humiliation and distress’ to the Dean and his wife. He accused the Church of ‘burying’ the report to prevent embarrassment for the Bishop of Winchester. He warned that failure to act could cause ‘irreparable damage’ between the Church of England and the church in Jersey and urged the Archbishop to come out in support of the contents of the Steel report in the interest of ‘Christian reconciliation’. The Dean has some pretty influential allies who are pressing the Archbishop to release the Steel Report in the belief that it will bring closure to the sorry affair. However they seem to have lost sight of the fact that the Dean and his supporters are hell bent on extracting an apology from the Bishop of Winchester. Until the apology is given there will be no closure. Sadly they have failed to acknowledge the impact the release will have on the victim. Surely as true Christians the welfare of the vulnerable should take precedence over any perceived “hurt” suffered by a senior member of the clergy. Tony the Prof has recently published an excellent blog in relation to this matter and on the recent visit to the Archbishop of Canterbury by a delegation from Jersey. It can be accessed HERE. In any normal organization where there are petty spats the boss would have a serious talk with both men, remind them of their responsibilities and if they could not work together for the good of the organization then they should find alternative employment. 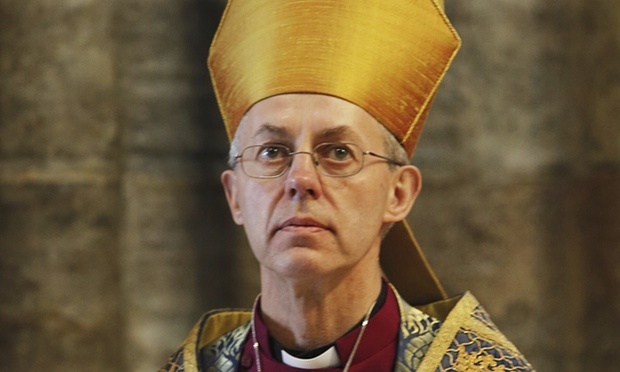 Sadly the Church of England is not a normal organization and is certainly not adverse to spending thousands of pounds defending the indefensible. I have published several blogs on the Dean saga and on 27th January this year I published a blog titled “Let Sleeping Dogs Lie.” I said that nothing would be gained by pressing for the release and every one should let sleeping dogs lie. We know that the woman wanted to move on even though she had every right and expectation to some form of redress. It would seem that the only people who can’t let it go are those who support the Dean, who by his own admission mishandled the complaint and added his apology to that of the Archbishop and the Bishop of Winchester. My letter to the Archbishop is below. I understand that he has made it known that he is not responding to Senator Bailhache’s letter. I don’t need a reply but I hope the Archbishop will read it and have the courage to do what is right. I write as one of the many disillusioned members of the Church of England who are increasingly frustrated at the way the Jersey church is being hijacked by a small group who claim to speak for me. They appear to be more concerned with driving wedges between Jersey and the Bishop of Winchester rather than building bridges and are using the Steel Report as its wooden horse. You have recently received a strongly worded letter from Senator Bailhache which accuses you of failing to grasp the nettle, whilst I agree with the Senator I do not agree with the nettle he wants you to grasp. Senator Bailhache is part of the problem and whilst he is entitled to support the Dean who is his friend and colleague, he also has a duty to be even handed as Lay Chair of the Jersey Deanery Synod. The Senator is requesting the publication of the Steel Report but has failed to accept that the publication will solve nothing because it will do nothing for the welfare of the young woman at the heart of the matter or solving the impasse between the Dean and Bishop Dakin of Winchester. What is evident is that Bishop Dakin could have handled the Dean’s suspension in a more professional manner. The same could be said of the Dean’s handling of the abuse complaint way back in the summer of 2008. What is conveniently forgotten is that the Dean on being reinstated said, “I regret mistakes that I made in the safeguarding processes and I understand that, upon reflection, it would have been more helpful if I had co-operated more fully with the Korris Review. I now add my own apology to that of the Bishop of Winchester and Archbishop of Canterbury to the vulnerable person at the heart of this matter. The Dean has admitted that he mishandled the abuse allegation therefore even though no disciplinary action is being levelled he cannot nor can others claim that he is exonerated. Had his mistakes not been made at the outset none of the difficulties would have followed. It should be noted that whilst all of you have made public apologies to the young woman none of you have found the humility to apologise to her personally or ensure that promises made by Bishops Dakin and Gladwin to assist her have been kept. Your apology was for badly letting the young woman down, that is an understatement because at the behest of the Dean, his wife and the late Bishop of Winchester she was arrested at home whilst still in her night attire, was detained in a police cell for 24 hours and then imprisoned for two weeks before being effectively deported from Jersey in her night attire and left destitute in the UK. Senator Bailhache claims that the Dean’s suspension was ill judged, precipitate, unnecessary, and contrary to the principles of natural justice. If ever there was a miscarriage of justice one need look no further than the action taken by members of your clergy to remove a problem. Whilst much money, time and effort is being consumed by Senator Bailhache and his colleagues they are oblivious to the real victim who in their eyes does not exist. The Senator has made reference to a paragraph in your letter of 9th March 2013 but has carefully doctored it to exclude your reference to the young lady. The Steel Report cannot and must not be released for a number of reasons, not least because the original Terms of Reference were amended at the behest of the Dean’s colleagues and the arrest and deportation of the vulnerable young woman was excluded despite the Korris recommendation. The choice of Dame Heather was a grave mistake, not only because of her association with Senator Bailhache but for the comments made during her meeting with me and are contained in the transcript which she promised to give me. However for obvious reasons she has failed to keep her promise. Jan Korris was criticized for not interviewing the Church Warden or the young woman, However Dame Heather has also failed to interview both, so how can her Report be taken seriously? The most serious reason for non- publication is of the known impact it will have on the young woman. The recent representations from Jersey make no mention of this important pastoral consideration. Bishop Dakin has informed the Bailiff of the need for an impact assessment before publication but that is still awaited. There are also assurances given to the Court which have to be met, which will all also cost money. I am probably one of very few people who have had meetings with the young woman, Dame Heather and Bishop Gladwin who after meeting him in London visited my home to thank me for my endeavors and assurance that I would continue to assist with the Inquiry. I no longer act as a mediator for the young woman but that does not mean that I do not care for her welfare. I don’t know what hats the Lt Governor, Bailiff and the Chief Minister were wearing but the cost of their visit was paid by the tax payers. I am sure the visit was useful but I doubt whether they were able to give a full and impartial account of events. However I have considerable documentation which supports why the Steel Report should not be released and would be pleased to share with you should you doubt my claims. I trust that you will address this letter with the urgency it deserves and arrange for the Steel Report to be shredded for the reasons above. I also ask that you take steps to ensure that the Dean and Bishop Dakin are reminded of the responsibilities and that it is hypocritical to stand in the pulpit and ask us to love our neighbour when they do not practice what they preach. I understand that Senator Bailhache circulated his letter to the Lt Governor, Bailiff, Chief Minister and Bishop Willmott so I will do the same. His letter was also circulated to the media; in the interest of transparency I will do the same. Independent Jersey Care Inquiry (16) --- A 5 minute after thought? I had hoped to post a blog soon after giving my evidence at the Hearing two weeks ago and to include a link to the transcript which is normally posted on the Jersey Independent Care Inquiry website soon after. Unfortunately due to unforeseen problems the transcript was only posted yesterday and there is no direct link to it. To read the transcript one has to click HERE then click onto Hearings, then click onto Transcripts and my evidence can be found on day 104 dated 22nd October. I believe that in April 2014 I was the first witness to be interviewed by the Inquiry lawyers who being from the UK understandably had little knowledge about how Jersey functioned. My statement was lengthy and I provided considerable documents as supporting evidence. At the start of my Hearing the Inquiry lawyer Parick Sadd QC pointed out that my statement provided a landscape that the Inquiry has since been covering and it was my statement that provided a very useful introduction to the Inquiry as to those issues which the Inquiry was to investigate under its terms of reference. It is now evident that some of the information I provided fell outside the Terms of Reference but it did provide useful background information. However although I had been used to giving evidence at times I felt it difficult to get into a train of thought as Patrick Sadd who is clearly a very competent QC jumped from one part of my statement to another. There was a reason, that being the need to seek clarification of some my evidence and for me to justify some of the claims I had made. As an example I had claimed that whilst I could not say I was lied to by civil servants, I did feel at times that some were economical with the truth or just withheld information. The issue of the Maguire case was an example and Mr Sadd sought clarification. In the Minutes of the meeting in May 1999 I was present when we were informed that possible criminal action was not being levelled against Mrs Maguire because it was not in the public interest. We were also told that Mr Maguire was suffering from cancer. At that time Committee members were in complete ignorance of allegations of abuse in the Island’s care homes and naturally what the eye does not see the heart won’t grieve. Mr Sadd then produced a document signed by the Attorney General’s Office dated November 1998 which said that the no further action was being taken because of lack of evidence. It justified my concerns but I felt upset because had we been aware of the true facts of the Maguire’s background and of the abuse problems in the care homes, further abuse could have been prevented because action could have been taken at the time. It is to be hoped that as a result of “lessons learnt” no abuse is inflicted in the first place and if it does, systems are now in place to quickly remedy the problem. As my transcript shows I covered a wide range of issues including the role of the Centenier, Parish Hall Enquiries, the lack of an independent prosecution service and the issue of the Head of our prosecution service is also the Titular Head of our Honorary Police and legal advisor to the States. We touched on Operation Rectangle and the involvement of former Police Chief Graham Power and his Deputy Lenny Harper. I had the opportunity to make it known that although we were aware of each other’s existence I could not recall ever having met Mr Harper in Jersey or in Lambeth where we had both served as police officers. As for Mr Power although we had met during the eight years he had served as Police Chief our meetings were brief and he came across as a highly efficient and upright leader of the Island’s Police Force which had under his leadership become more professional and efficient. My interest in his case was certainly not because he was a friend as I hardly knew him, but because it quickly became apparent that he had been “stitched up” and people were going to great lengths to hide the truth. It is almost 7 years to the day t since Mr Power was suspended and effectively dismissed because he was kept suspended until his retirement 18 months later. Many hours have been spent trying to get to the truth, however for the past two days Mr Power had his day in court and was able to give answers to the many questions which troubled some people. It would be fair to say that when Operation Rectangle was launched no one envisaged what would develop or that our senior States Members would be so ill equipped to handle the media circus that followed. Mr Power said that some mistakes were made but none that were serious. To be fair apart from the media frenzy, the excavation was warranted, not to do so would have left too many unanswered questions. Thankfully there were no bodies found, but ironically it is evident that because none were found, in some people’s eyes the excavation represents a failure. I am afraid it was a case of being damned if one dug and damned if one did not. The time was quickly eaten up but much of Mr Power’s 65,000 word statement was untouched. At one time I just wondered where the Panel was going and why so much time was devoted to matters which Mr Power was not responsible for. His apparent mismanagement of Mr Harper was covered and it soon became evident that it was more about perception than fact. Mr Power’s suspension was world news and a cruel and unjustified act as substantiated in the Napier Report. It was also as a result of poorly planned conspiracy which led to the ending of a distinguished career and a bill of around £2million in a futile attempt to justify it. Surprisingly and almost as after though the Panel addressed the matter in the last 5 minutes of the Hearing, why? It is to be hoped that when those responsible for Mr Power’s suspension appear before the COI more than 5 minutes will be devoted to finding out why they took such drastic and unjustified action. Independent Jersey Care Inquiry (15)----Phase 2, Halfway Point. The next phase of the Hearing will commence next Tuesday 20th October. In Part 1, the Panel heard evidence from former residents of the Jersey care system, those who worked in child care services and those accused of abuse. Phase 2, will look at the decisions taken in relation to the timing of the police investigation, subsequent decisions to prosecute alleged abusers, whether or not those responsible for deciding which cases to prosecute took a professional approach and was that process free from political interference. In Phase 3, the final phase of the Inquiry, will examine whether the child care system since the war was adequate, what went wrong, has the system changed for the better and what is the way forward. Those who have been following the Inquiry will have been impressed with the Panel's attempts to seek out the truth and it is now evident that there were victims of abuse and their concerns were not adequately addressed. In Phase 2 the Panel will seek to establish the competence of those entrusted with responsibility of safeguarding the interests of the victims and did they short change those who sought justice. Among those due to appear during the next few weeks are police officers, politicians, Crown Officers past and present and from all ranks. We should hear what led to Operation Rectangle, was it justified and was it the failure that critics with vested interests have claimed. Were the Crown Officers even handed and were their decisions really in the public interest? I also hope the Panel will seek answers as to whether there was justification to suspend the Police chief and how was it that around £2million was spent trying to justify the suspension and to cover up the actions of those involved. The schedule for next week’s Hearing is posted on the Jersey Care Inquiry Website, however for reader’s convenience I can report that proceedings get under way at 10am next Tuesday with an opening address which will be followed at 11am with the first witness Anton Cornelissen giving his evidence. On Wednesday at 10 am, Brian Carter will give his evidence and at 2pm will be followed by Emma Coxshall. I understand the 3 witnesses are from police headquarters. On Thursday at 10am I am due to give evidence and note that I am to be followed at 2pm by an unnamed public witness which awaits confirmation. Whilst I have no wish to stay in the witness box for as long as Alastair Cook is at the crease during the current Test Match, given the length of my statement I will be surprised if we don’t need a bit of extra time. I believe the next Phase will be illuminating and with the approach of Guy Fawkes it’s likely that there will be a few extra fireworks coming our way. It is evident that the Panel has been doing its home work and has been prepared to challenge witnesses to substantiate claims made in their statements. Therefore it will be interesting to see how well the so called heavyweights cope with their evidence. Independent Jersey Care Inquiry (14)------The Emperor's New Clothes. My last two blogs have been about the Minister of the Economic Development Department (EDD) seeking an increase in liquor licence fees but had intentionally failed to inform States Members that in 2007 the States had approved my proposition P117/2007, This had requested the Minister to review the fee structure and produce a more equable structure before seeking further increases in Licensing fees. Given the scant report it was obviously intended that the proposition would be approved on the nod with no questions being asked as to why no increase had been sought since 2007. The proposition, P94 was lodged last month and soon after I published a Blog questioning its contents and more importantly what had been omitted. I forwarded my Blog to the Minister and Members of the Council of Ministers asking that the proposition be withdrawn or at least that the full facts were made known to all States Members. Regretfully my request was rejected so I circulated my Blog, Hansard Report and proposition to all States Members in good time to read before the debate. The debate was just not whether the unjustified request should be approved but whether States Members would act honourably and respect the 2007 decision. The debate commenced at 445pm on Tuesday and over a dozen Members spoke before the 530pm adjournment. After Rapporteur Connetable Pallett had outlined his case for the increase he was followed by a well-informed speech by Deputy Judy Martin who found more holes in his speech than one would find in a colander. Thereafter it was pretty much downhill all the way for the Ministers who pathetically tried to justify the increase on the grounds that it was 8 years since the last increase, it would only cost pubs £2 a week, the Minister was only “requested” to review the structure and he had assured Members that the review had /would be conducted and the findings were imminent. However when asked how imminent it was. It was like asking how long was a piece of string? Whilst the usual suspects played a vital role with their speeches in opposition, it was the middle ground Members who really won the day because their support which all too often is in favour of the Ministers was not to be. Many Members did not favour reneging on a previous decision; some felt that by approving the proposition it would remove the incentive for the Minister to come up with an equable fee structure. It was also rightly claimed that the inequality had to be addressed and a structure that penalised small sports clubs at the expense of the large supermarkets was unsustainable. The debate resumed yesterday morning with a strong speech from Geoff Southern but the speech that finally put the nail in the Minister’s coffin was from Connetable Julliete Gallichan of St Mary who had been far from impressed by Senator Ozouf’s speech who repeatedly claimed that it was wrong to blame the Ministers for failing to conduct the review. If it was not the Ministers, than whom else was responsible for the 8 year failure? (It should be noted that Senator Ozouf had been Minister for EDD in 2007 and later Treasury Minister). Mrs Gallichan like many of her fellow Connetables form the bedrock of the Minister’s support and she, like her colleagues who had spoken before her, was not persuaded by the excuses given for the failure to conduct the review or convinced that it would ever be conducted. She was also of the view that a promise made is a promise to be kept. It became evident that the Ministers support had ebbed so far that they were to suffer the ignominy of a defeat. It was then that Connetable Pallett wisely sought consent to withdraw his proposition. He rightly claimed that he found himself to be on a sticky wicket. However he had prepared the wicket which clearly was not susceptible to spin. He then threw in the towel to save his Ministers from further punishment. It is not every day or indeed every year that the Council of Ministers is defeated. In my previous Blog I wrote “There is still some time to partly redeem themselves by withdrawing the proposition and insisting that the Economic Development Department conducts the much needed review before seeking an increase in fees." Although it was an eleventh hour withdrawal it did restore some credibility on Connetable Pallett and his fellow shell shocked Ministers. However the withdrawal was a defeat and a bad day for the Ministers whose creditability was stripped bare and left as naked as the Emperor in his new clothes. 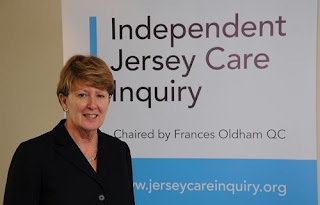 Independent Jersey Care Inquiry (13)---- The Right, the Wrong and the Convenient Way? In my previous Blog I wrote about witnesses appearing before the Committee of Inquiry (COI) with selective memories and how it extended to States Ministers. As an example I cited the lodging by the Economic Minister of a proposition seeking to increase licensing fees but had “forgotten” to remind Members of a States’ decision in 2007 which requested the Minister to conduct a review of the Licence fee structure and no increase could be sought until the Review's findings had been published. This Report is still awaited. It is evident that the Minister and the Council of Ministers are now fully aware of the States’ decision but are intentionally/wilfully concealing it, albeit that since my intervention I have been informed that the Rapporteur will be revealing all before and during the States debate next Tuesday. One wonders whether there was ever any intention of informing Members if I had not raised the matter. With less than a week to go I understand that no information has yet been circulated. As mentioned in my previous Blog the COI is taking evidence from witnesses who have experienced cover ups, unethical practices and the closing of ranks by Ministers when defending the indefensible. The Licence increase is further evidence that lessons have not been learnt, its business as usual and sadly is likely to continue even after the COI releases its Report. It is difficult overcoming a culture of deceit and sadly we do not have sufficient States Members who can see the difference between right and wrong, particularly if it’s for political advancement. Last week in a spirit of openness I circulated a copy of my Blog with P117/2007 and P94/2015 to all States Members to ensure they were aware of all the facts well before the debate. The information was also circulated to the ex officio Members like the Bailiff, Dean, Law Officers and the Lieutenant Governor who are all able to speak during the debate. Given the moral aspect it will be interesting to see whether the Dean will break ranks and remind Members of the value of keeping promises and the need for an honest approach in their endeavours. The media was also forwarded the information and it is hoped that they too will be seeking responses from Ministers. States Members and the public are entitled to know why the Review has still not been conducted, why the request is being made before its findings are known, why was the 2007 States decision was omitted from P94/2015 and why Ministers have continued to conceal the information? I am not a spokesman for the Licensing Trade and no doubt the increase is likely to be passed on the customers but I felt that I could not stand by when there is clear evidence of foul play by the Ministers. There is still some time to partly redeem themselves by withdrawing the proposition and insisting that the Economic Development Department conducts the much needed review before seeking an increase in fees. The proposition is way down the Agenda and may not be debated until Wednesday, However I hope there will be sufficient Members who will condemn the way in which information has been withheld and will vote against the proposition which brings no credit on those who have lodged it. I will keep Readers updated via the Comments section below. Independent Jersey Care Inquiry (12)---- Culture of Concealment Reigns On. One of the interesting features emerging from the Committee of Inquiry (COI) Hearings is the variation in witnesses’ ability to recall events from the past. Some had a good memory, some a poor and on occasions it has been evident some had a selective memory. Selective memory is often a convenient way of temporarily forgetting something which is expedient to forget. It was not that long ago that a senior Minister was unable to recall what he was reading on the plane. Even more recently he was unable to recall a conversation with the former Education Chief who claimed they had spoken about not reporting an allegation of abuse to the police. In October the COI will be listening to some very interesting witnesses who will be commenting on the collusion between senior civil servants and Ministers and will be questioning the integrity of Ministers and the Council of Ministers in particular. In the past month it has become evident that not only have other Ministers suffered from selective memory but the Council of Ministers is suffering from collective selective memory. During my 18 years in the States I took a particular interest in the Licensing Law and successfully lodged a number of amendments which included approval for pubs to remain open all day on Sundays and for shops to sell alcohol after 1pm. Also at my instigation I conducted a review of the Island’s Licensing Law and among the recommendations was that anomalies in the fees charged for liquor licences should be addressed. Despite my offers to assist the Economic Development Department to conduct a review and to advance a new Licensing Law they were rejected. In 2007 revenue received from license fees was around £272K per annum from over 600 premises and around £15 million received from Impôt Duties. To seek an increase in the fees requires States approval and until 2007 requests were made in September each year. There are 7 categories of Licence and 7 scales of fees. However there is the nonsense of large supermarkets paying £114 for their licence which is the same as small corner shops, three times less than local football clubs who normally only open their bar on match days and four times less than the many small restaurants operating around the Island. There are a number of other anomalies which can be found in the link at the bottom of this blog. In 2007 having again failed to persuade the Minister to agree to my request I lodged P117/2007 which sought States approval to request the Minister to review the structure of the current liquor licence fees with the view to introducing a more equitable licensing structure. Also and of equal importance was part 2 which requested the Minister to finalise the review within 12 months OR before any requests were made for further increases in Licensing fees. The debate took place on 26th September. The Minister, Senator Ozouf agreed that his assistant Minister Senator MacLean should act as rapporteur and on his behalf accepted my proposition and I quote part of his speech “First of all, I would just like to thank the Deputy of St. Martin for liaising with the Department in such a constructive manner over this issue. We clearly welcome his proposition. We support it, just so that Members are not in any doubt whatsoever, and we will be moving forward to ensure that an appropriate review is carried out, not only in the narrow constraints of this particular proposition but certainly in a more wide-ranging review.” The full Hansard Report can be read via the link below. What has this got to do with selective memory you may ask? Well since the 2007 debate no review has been conducted and no increase has been sought until a couple of weeks ago when the Minister for Economic Development lodged P94/2015 asking for a 17% hype in the license fees The reason given for the increase is because fees have not risen since 2007, they need to be rectified and brought up to date in line with inflation. How ever there is no mention as to why there has been no increase or of the 2007 States decision, why? This brings me back to selective memory because it’s difficult to accept that not one current Minister or civil servant can remember the 2007 proposition or asked why there has been no annual request. Senator MacLean is now the Minister of Finance, has he forgotten the proposition? The same could be said of Senator Bailhache who as Bailiff would have given consent for my proposition to be lodged and presided during the debate which was unanimously approved via a Standing Vote. Have fellow Ministers like Gorst, Ozouf, Routier and Pryke also forgotten or asked why there has been no request for an increase for long? Have none of the newer Ministers asked questions or are they so bound to collective obedience. Before a proposition can be lodged it has to be approved by the Bailiff who by coincidence also heads the Licensing Bench. I am surprised that he has not insisted on a rescindment of the 2007 decision before approving P94/2015. It is common knowledge among the Licensing trade why fees have not been raised since the 2007 decision yet that fact seems to be unknown to Ministers, their civil servants and even the head of the Licensing Bench. I found this memory loss hard to accept so did a bit of research. 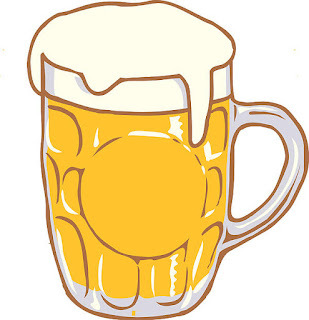 The Minister’s report in P94/2015 which can be read in full in the link below says “following consultation with key stakeholders it has been agreed that whilst the up-rating is long overdue, in order to reduce the financial burden on licensees, the increases will phased over 2 years.” As the report makes no mention of the 2007 States decision I thought it was wise to check with some of the key stakeholders seeking information as to what the consultation entailed. I have checked with key stakeholders who have confirmed that they met a minister and civil servant but only to be informed that the fees would be going up, but to ease the burden they would be raised in two rather than one year. They maintain that they raised the issue of the States decision in 2007 and why the increase was sought before the outcome of the review. However they were told that the increase was going ahead irrespective of the States decision." I have no reason to question the stakeholder’s version of events because asking about the 2007 decision is probably the first question anyone including States Members would ask. What is now evident is that Ministers and civil servants are aware of the 2007 decision but have chosen to omit that fact in the report. The States has had 8 years to conduct the review but has failed. Not only does it hide the truth but the anomalies still exist because the promised review has not been carried out. The Council of Ministers is desperate to fill the black hole it created and via the Economic Minister is seeking an increase in Licence fees; however the manner in which it seeks the increase does little for its integrity or reputation. It is evident that by concealing the truth the Ministers and Civil Servants are being underhand and unprofessional. What ever reason it chooses to deny that fact it will do little to persuade the "thinking public" that the culture of concealment and collusion still exists in Jersey and should not go unnoticed by the Committee of Inquiry. If the Council of Ministers can go to such lengths to conceal the truth for such minor matters like increasing Licence fees than it begs the question what has it been concealing in relation to abuse allegations, Operation Rectangle, the Graham Power suspension and many other related matters. I shall be forwarding this blog to the relevant Ministers suggesting that P94/2015 be withdrawn and the States decision of 2007 be implemented before any rise in fees is requested.. Independent Jersey Care Inquiry (11)----Jersey Social Services " Out on a Limb"
It has been a good week for supporters of the Committee of Inquiry (COI) and after weeks of hearing evidence from those abused, the COI is continuing to question those people who held positions of responsibility when the abuse and neglect was taking place. As each witness is questioned it is becoming abundantly clear that not only were some staff incompetent but they used their positions to cover up their incompetence and in so doing covered up allegations of abuse. Whilst it has been disturbing listening to evidence from the abused it was also disturbing listening to the answers given by Anton Skinner who rose through the ranks to become the acting Chief Executive of the Health and Community Services. This blog will comment on some of his evidence and Marnie Baudains comments about Stuart Syvret. What I found disturbing about Anton Skinner’s evidence was that he knew the Jersey Care system was working in total isolation and years behind UK good practice. Mr Skinner admitted that Haut de la Garenne was “a total situation of crisis” yet it remained open for years after the publication of the Lambert/Wilkinson Report, why and who was responsible? The Lambert/Wilkinson 1981 Report highlighted the lack of training and of Child Care Officers in Jersey feeling "out on a limb from colleagues in the UK and working in isolation." 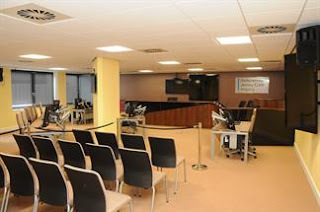 However Mr Skinner said that if anyone wanted to attend courses in the UK money was not a problem but from what he went on to say there seemed to be no encouragement given to those who should have been attending courses not only for their own professional enhancement but to share the knowledge gained with their colleagues. Mr Skinner held senior positions for a number of years so why did he allow the “out on a limb and working in isolation” to continue? I don’t know whether the Panel understood the isolation issue. It was not just that our Children’s Service was working in isolation from the UK but it was more serious than that, because it was working in isolation in Jersey whereby unlike in the UK where there was an inter agency approach, this was not the case in Jersey. Each Department was working in silos and there was no sharing of information or joint case conferences held when problems arose with children and/or within the family. The welfare of a child with problems should have been paramount but from my experience a child with problems seemed to be an inconvenience. If Mr Skinner could not see the need for training himself then it not surprising that he failed to see the need for training for the lower ranks. It is also apparent that there was no appraisal system in place which would have identified the personnel’s strengths and weaknesses. That absence allowed for the incompetent to remain in office and worse still some getting promoted beyond their levels of competence. When asked how he kept abreast of the fast moving changes in child care outside Jersey Mr Skinner said he read Care related magazines. It could be said that when it came to leadership in our Care system it was a case of the blind leading the blind. It was not that those in authority planned to fail, but they simply failed to plan because they were either out of their depth or blinkered. Social justice is a long way down the list of most of those who can do some something about it. Guilt by association is still very much a way of life and I was amused by the former Head at Le Rocquier School complaining about having to accept 'grossly disturbed children' from Haut de la Garenne at his school inferring that it lowered its image. I attended St Martin’s School for all of my 9 years education and during that time I sat alongside boys from Haut de la Garenne. At no time did I ever hear my former Head Teacher Mr Anthony or any of my fellow pupils complain. I would say that the boys' presence enhanced my education and I have a greater understanding of the difficulties young people in care have to endure. It was interesting to see that Mr Skinner had amended his original statement; no doubt some amendments were required following evidence given by some of his former colleagues. I thought his written apology was too little and too late and was more of an apology for his shortcomings than for the harm caused by his incompetence. It was not surprising that one of the abused felt the apology was insincere and an insult. I noted with amusement that an officer who smacked the bottoms of two mischievous boys had the book thrown at him yet a blind eye approach was adopted when dealing with real abusers. It was also interesting hearing why the Maguires were not prosecuted. To claim it was in the victim's best interest not to prosecute adds salt to the wounds. The prosecution would have highlighted the shortcomings of a Service that was leaderless, incompetent and in parts uncaring and probably that had more to do with the decision not to prosecute. It should be noted that the Children’s Service was under the remit of the Education Department until 1995 when it was transferred to the Health Department. It is now evident that concerns about the Maguire’s were made known to the Health Committee soon after the transfer. However it was not until May 1999 that the Committee of the day was misled when being told that the Maguires were leaving because of poor health. I was a member of the Committee and present at that meeting but was denied the full facts. The decision to deceive my colleagues was not just Mr Skinner's so it begs the question as to who else was part of the deception. 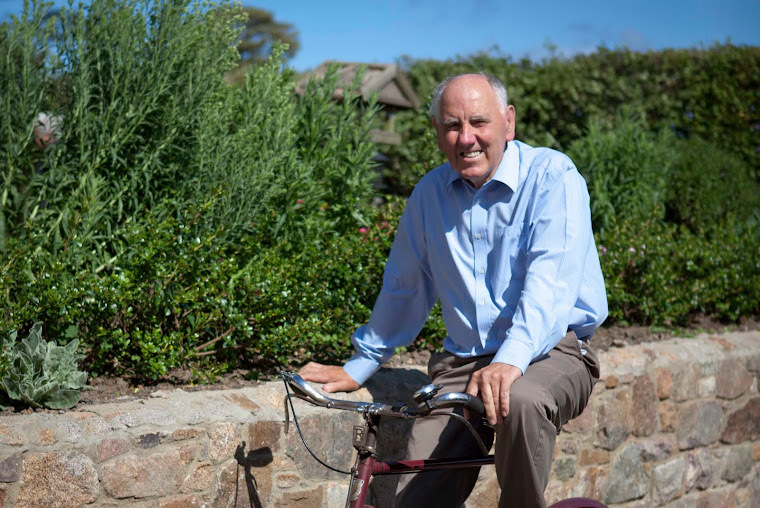 Having been a Member of the Health Committee for around 5 years I found Mr Skinner to be very pleasant but felt was too laid back to hold senior positions. Counsel for the COI Patrick Sadd had certainly done his homework and did a fine job in exposing Mr Skinner’s shortcomings. It is evident that the Panel was struggling to accept some of Mr Skinner’s answers and selective memory and from time to time sought clarification. The transcript of Mr Skinner’s lengthy time answering Mr Sadd’s searching questions are well worth reading and can be found on the COI’s website by clicking HERE. Marnie Baudains had worked in the UK where she began her career in various child care and supervisory roles before taking up similar employment in Jersey in 1985. She retired as Directorate Manager of Social Services in 2011. She said that Stuart Syvret’s criticisms of services and individuals were erroneous and his actions increased the risk to those who required protection from abuse. It was not the content but the manner in which Stuart had raised the issues. Methinks that Ms Baudains should be reminded that people in glass houses shouldn't throw stones. Whilst she was may not have been party to the abuse, she worked for Jersey Social Services for over 25 years and her eyes would not have closed for all that time, therefore she must accept responsibility for some of the failings that are now coming to light. It is apparent that Stuart does not have a degree in diplomacy and often his message is lost because of his direct style. However evidence now coming to light is proving that his criticism was not erroneous and there is still more evidence to come.